We wish you a happy, restful and, most of all, fun summer with your family. 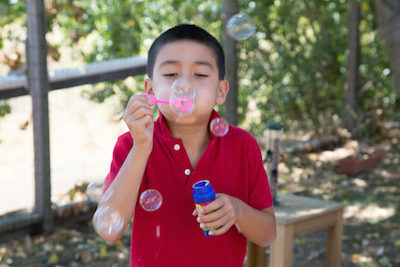 To help, here’s a resource page of useful links for Bay Area families and articles on how you and your kids can enjoy your home during the summer. Bay Area Kid Fun updates this listing of kid-friendly events daily, so whether you plan ahead or just jump in the car, you’ll have somewhere fun to go. It also lists parks, museums, summer camps and more. Every year, Bay Area Parent publishes region-specific summer survival guides with articles such as “How to Backpack with Kids” and “Free Family Fun.” Their current issue and back issues can all be found online. Marin parents: Marin Mommies has a terrific list of kid-centric outdoor activities in Marin County. Berkeley Parents Network, a moderated discussion forum, covers a wide range of parenting topics. Whether you’re choosing camps, sunscreen or playgrounds, you can use this resource wherever you live in the Bay Area. The East Bay Regional Park District offers hiking, overnight camping, swimming and a real steam locomotive. Though not particularly meant for kids, Bay Area Hiker lists and describes many fantastic hikes around the region. They also have a page just for hiking with kids and dogs. BayNature allows you to search Bay Area trails by location, length of trail and features. Gurmeet.net provides descriptions, information and photographs for 600 Bay Area hikes to simplify the planning process. Reserve America makes it easy to find a campsite at either public or private campgrounds. Popular dates will fill up, but there’s usually availability somewhere in Northern California for spontaneous weekends away. Bay Area Back Pages has a helpful list of the best places in the Bay Area to swim in a natural setting (beaches, lakes, etc. ), as well as a few pools and water parks. If you’re ready for a road trip, here are some great Northern California swimming holes. Don’t forget your local public pool. Most admission fees are under $10 (and often under $5), and some of them are quite extraordinary, like the East Oakland Sports Center. Start by heading to your public library and stocking up on free books, movies, and music. Need some boredom busters? 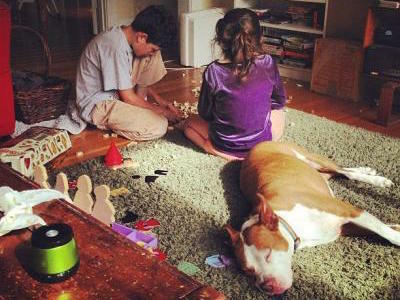 Here are 110 things to do at home with your kids. And here are a whole lot more. Get your house professionally cleaned, either before or after your staycation (or both). Common Sense Media is dedicated to helping families make smart media choices. Movies, television, books and apps are ranked by age-appropriate levels based on the presence of violent or sexually explicit content. The organization also has articles about cyberbullying, social media for teens, marketing to children and more. Safe, Smart, Social discusses and evaluates social media platforms for parents of teens and tweens. Do you know what tumblr, YouNow and Omegle Chat are? Because your teen does. Catch up quickly with Safe, Smart, Social. Does your child (or teen) spend hours discussing the merits of a diamond pickaxe or how to defeat the Enderman? Have you learned the difference between a mob and a mod? Is Hero Brian a good guy? Whether or not you allow your child to play Minecraft, chances are high that he or she wants to. Read this before you start (or continue) the discussion. Keep your child on moderated multiplayer online games meant specifically for children. Younger kids will enjoy Club Penguin from Disney or Herotopia. For older kids, check out Pirate 101. Did we miss anything? If you have a suggestion for a great link we didn’t include here, let us know at facebook.com/diamondcertified or [email protected].